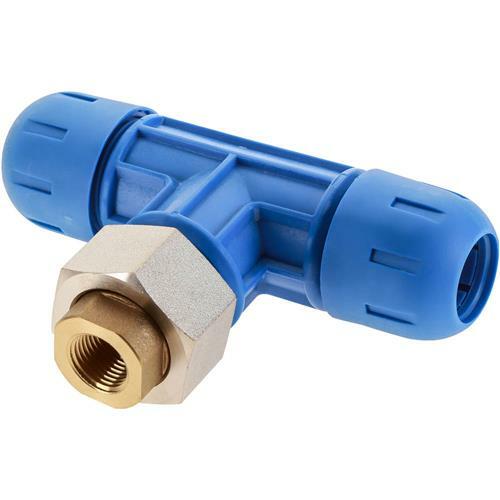 This Fast Pipe compression-style fitting is designed for fast installation in half the time of traditional methods. This reducing tee fitting is used to create a connection between two Fast Pipe pipes, the drop leg is 1/2" female NPT and Max PSI is 190. No gluing, threading, or soldering is required, made of nylon polymer.